This is Wat Phra Sri Samphet, the same temple as the previous study, only seen in broad daylight. The temple is located in a national park in Ayutthaya, Thailand, devoted exclusively to sacred temples dating back to around the 14th and 15th centuries. It was so hot I could only paint very early in the morning and very late in the afternoon. 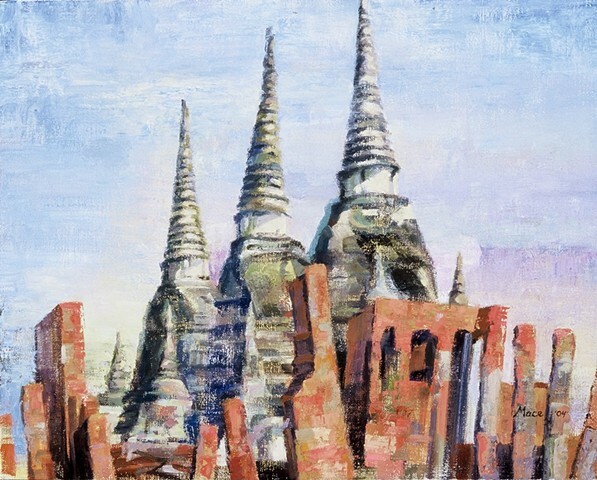 I did a couple of other studies and got something from painting this temple which basically amounted to the painting being a form of worship.